Our vision is to revolutionize how people learn about and interact with the natural world, while inspiring the conservation of our planet for current and future generations, by becoming the epicenter of animal and adventure-based entertainment. To that end, we will use innovative technology to create family-friendly products and attractions to maximize our audiences’ appreciation of nature. Now more than ever it is important to shine light on some of the most amazing and at-risk species on the planet and how we can all be better advocates of our environment and its inhabitants. We want to teach our audience stewardship for the natural world by sharing our love and passion for wildlife and everything that is the great outdoors. However, doing so will often require our team to explore delicate environments and encounter species living a fragile existence. To achieve this goal, while ensuring the least disturbance, we are dedicated to: Safety for ourselves and our animal co-stars as a top priority at all times. Putting as little stress as possible on any animal filmed, and never doing any harm. Leaving no trace in the environments which we visit. Respect the peoples and cultures around the globe that welcome us into their homes to learn and be inspired. Being an agent of positivity and awareness for all of nature and fellow human beings. Presenting content that is scientifically sound and driven by our passion to educate. Leaving a small impact with our footprints but a lasting impression with our creativity. When mistakes are made, we will correct them to our utmost ability as respect and care for the natural world remains a top priority. 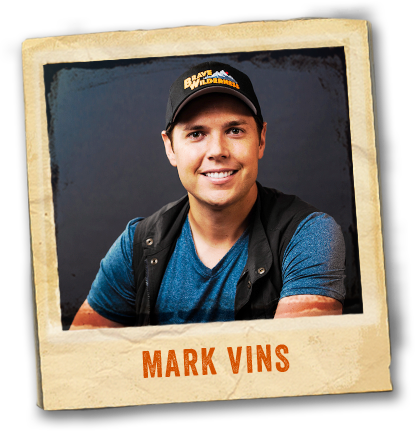 Along with being CEO, Mark is the Producer and Cofounder of the Brave Wilderness Network. 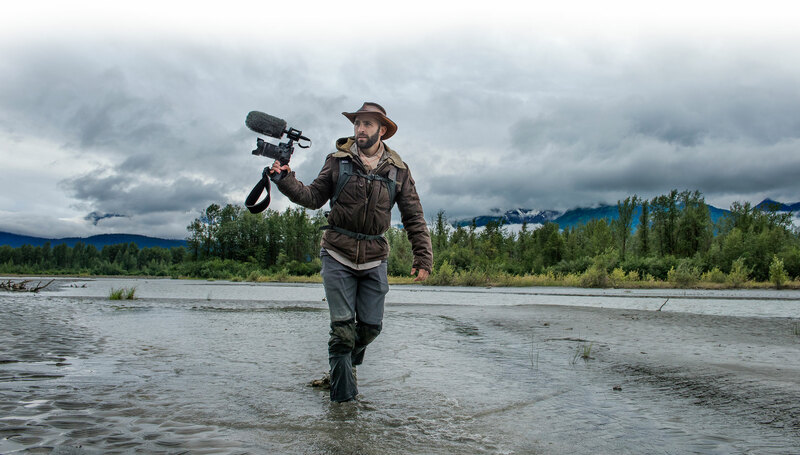 He has been business partners with Coyote Peterson for over 14 years, and shares his passion for wildlife and adventure. While his skills in business and leadership are vital to the company, it is his creative talents behind the camera as director and lead cinematographer that have paved the way for the mass appeal the brand enjoys today. Said to be a “Natural” in any business boardroom he always considers his best days to be the ones spent outdoors with the team. 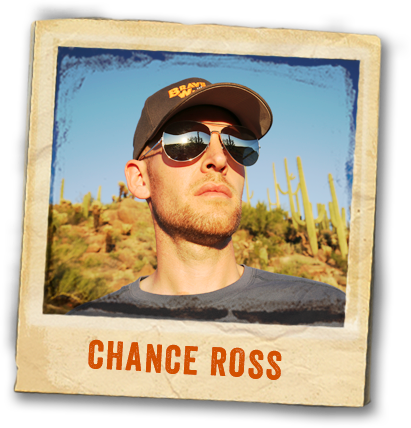 Chance has been working with Coyote on video projects for over 13 years, from student productions while studying together at The Ohio State University, to short films and screenplays. With years of operational and sales experience, he is excited to be applying his skill sets as an office producer, fulfilling various roles and responsibilities for Wilderness Productions. Chris, AKA “The Captain”, has been working in the entertainment industry for over 14 years. He has worked on various television productions for HBO and Sony Entertainment, was the visual effects actor for Guitar Hero, and more recently was the creative director at Vital Companies who helped produce the documentary O.A.R. Standing on a Burning Hot Sun. 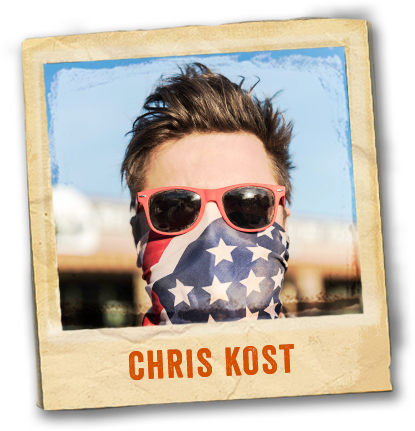 Raised as an avid Cleveland sports fan, Chris has a knack for dramatic storytelling and comedy. 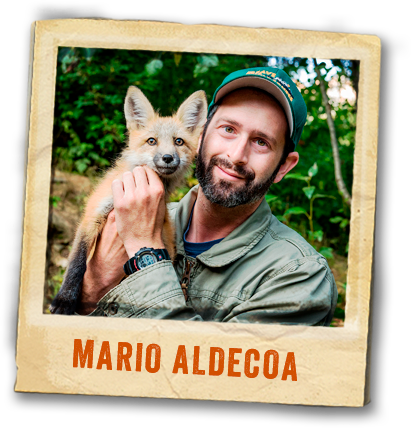 Wildlife Biologist Mario grew up in South Florida with the backdrop of the iconic Everglades inspiring his passion for the natural world. After receiving a degree in Biology, he began his career by managing a conservation program for the threatened American Crocodile and assisting productions from all over the world with native Florida wildlife. 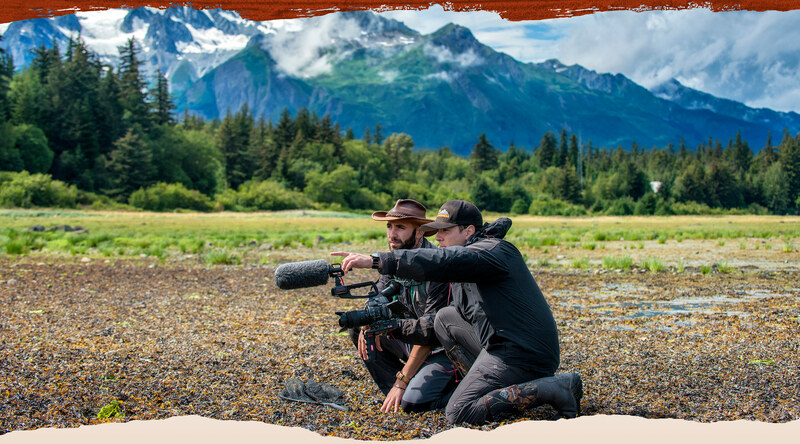 After meeting Coyote and the crew on one of Brave Wilderness’ earliest productions he became a natural member of the team eventually earning himself a permanent place as their “go to” wildlife expert and co-cinematographer!